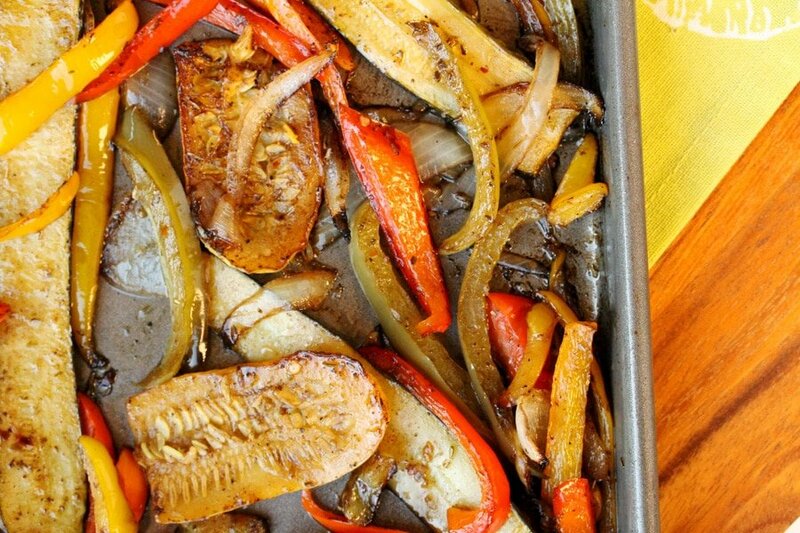 I have to be honest and tell you that this recipe came about because bell peppers in various colors were on sale and I couldn’t resist buying them. As I was thinking what to make with them I started to crave veggie pizza with mozzarella cheese and pepperoni. 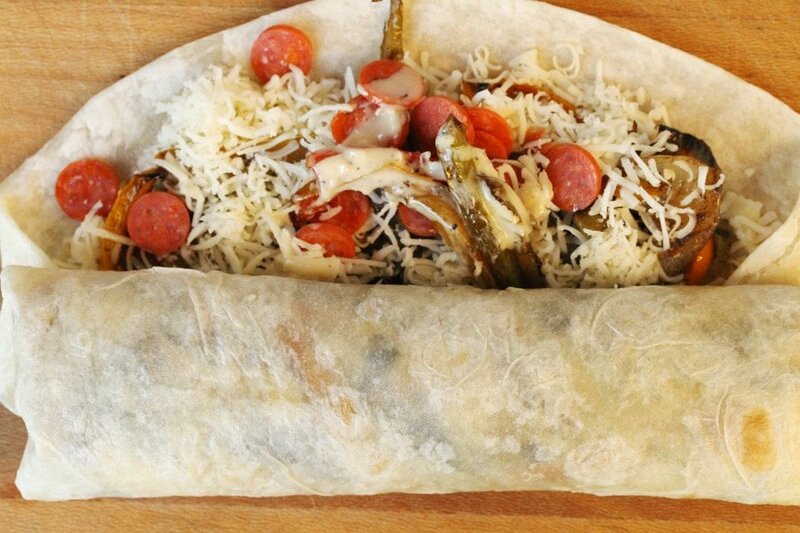 Then the combination sounded so good in the form of a wrap. 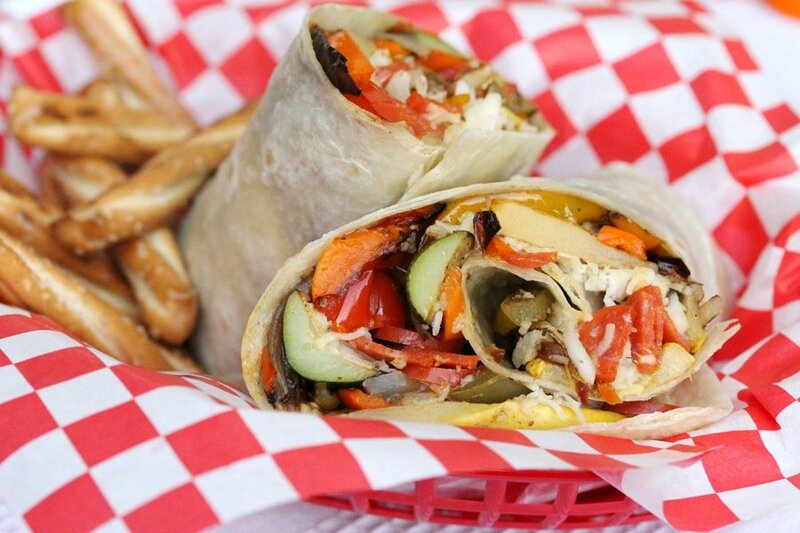 So there you have it…the history of the Balsamic Veggie Pepperoni Wrap. 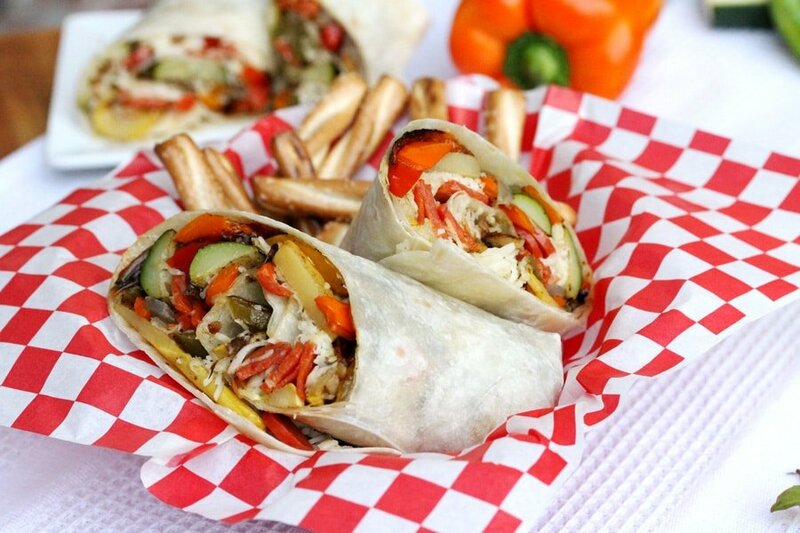 You can make these wraps ahead of time and just warm them up in the microwave before serving. They’re a nice change for lunch too. And if you take them to work they are sure to make the break room smell delicious and all of your co-workers will be sooo jealous! Don’t you hate when someone burns popcorn in the microwave at work? The smell seems to hang around all day. 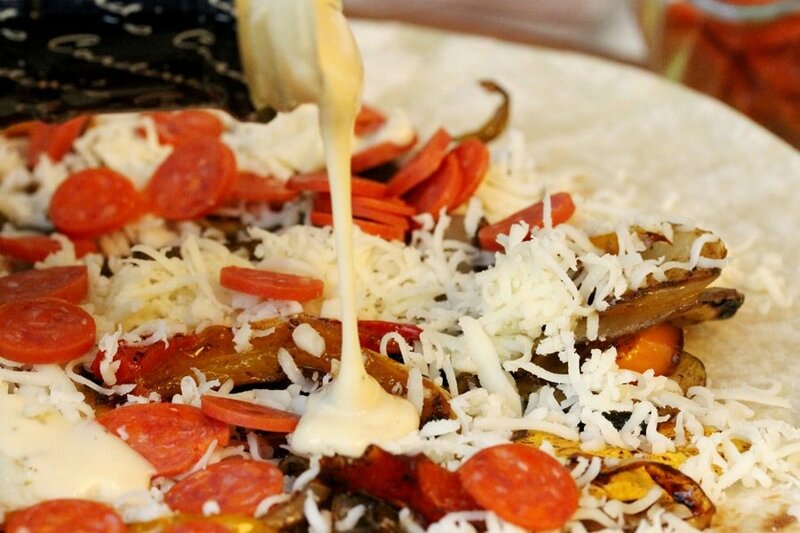 All of the above (the jalapeno is optional) plus…. 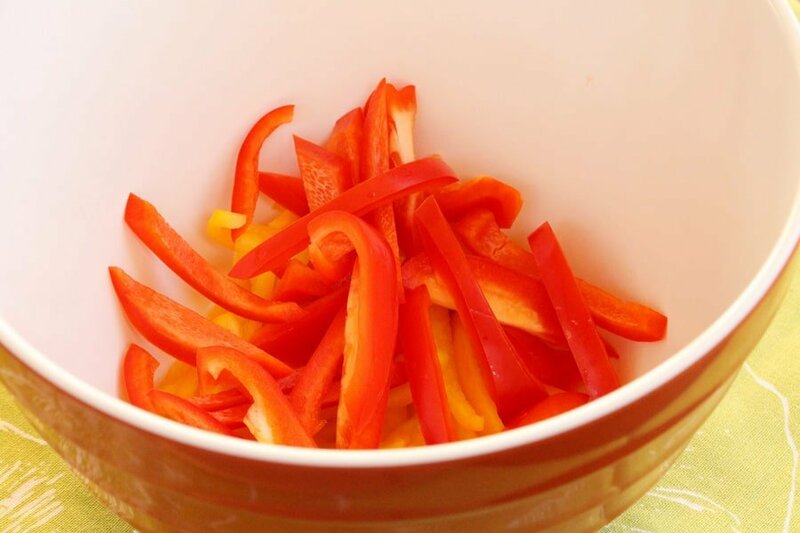 Cut the bell peppers into strips and add them to a medium size bowl. 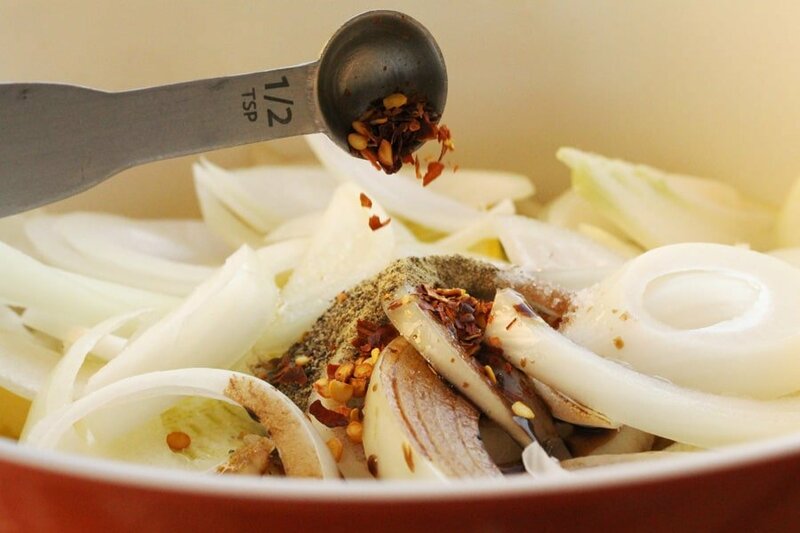 …..into the bowl it goes. 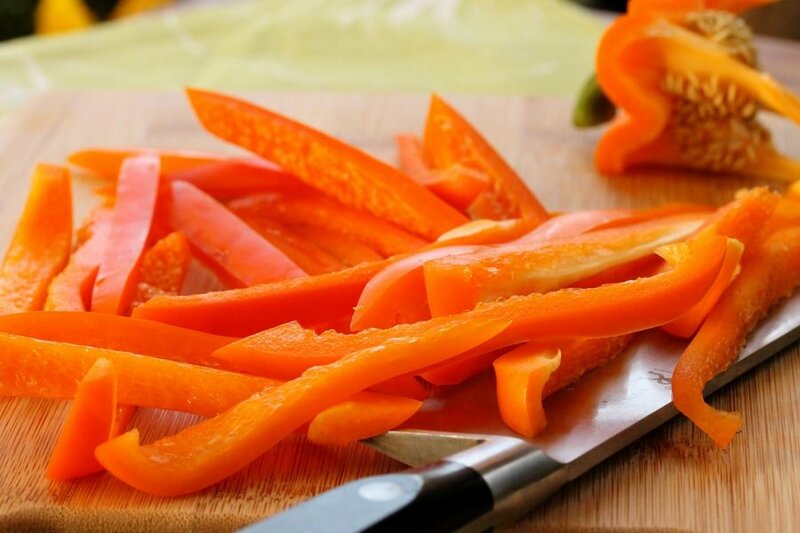 Then the red bell pepper…. 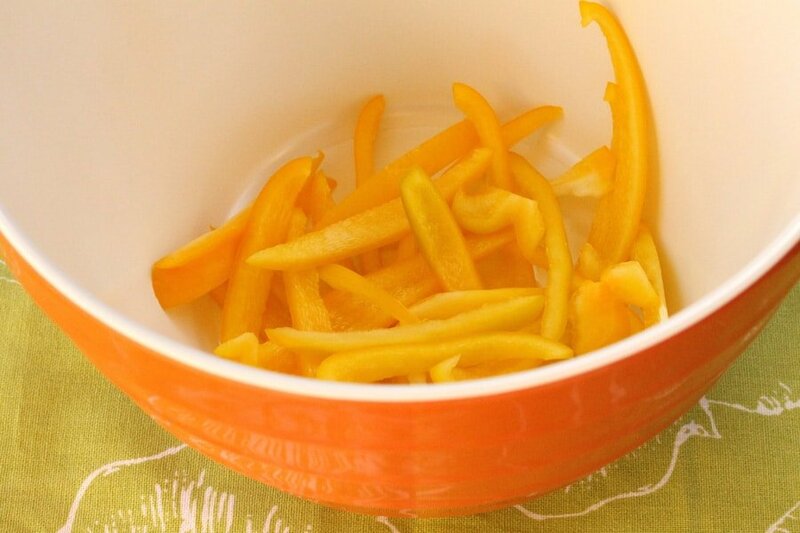 The orange bell pepper………also into the bowl. 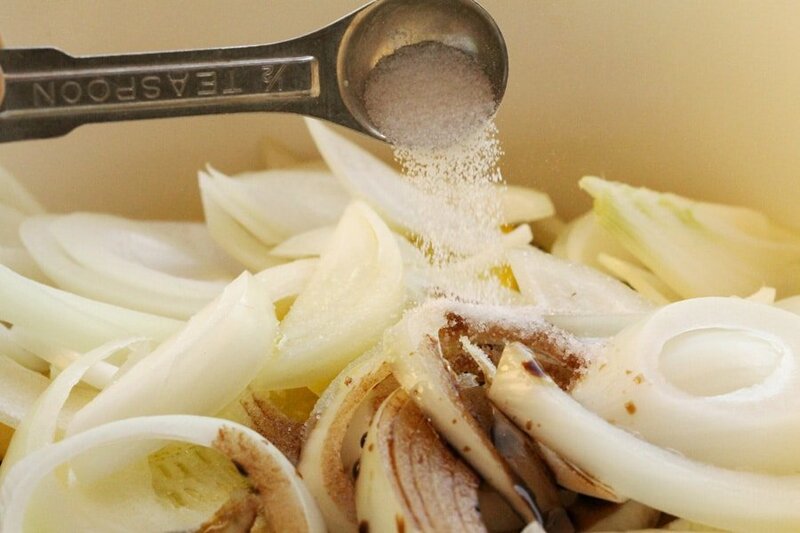 …and you guessed it…..add to the veggie bowl. You may be able to tell that I drifted for a moment when I took this pic. 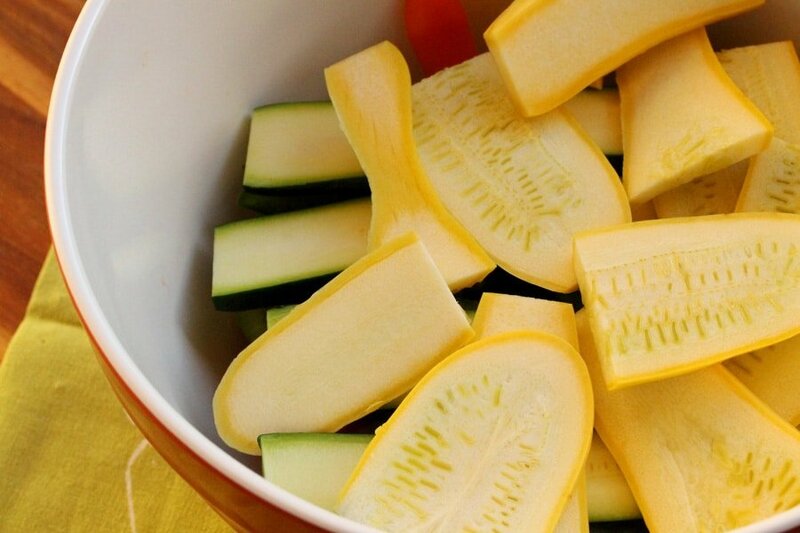 Next, cut the zucchini squash lengthwise into pieces about ½ of an inch thick. 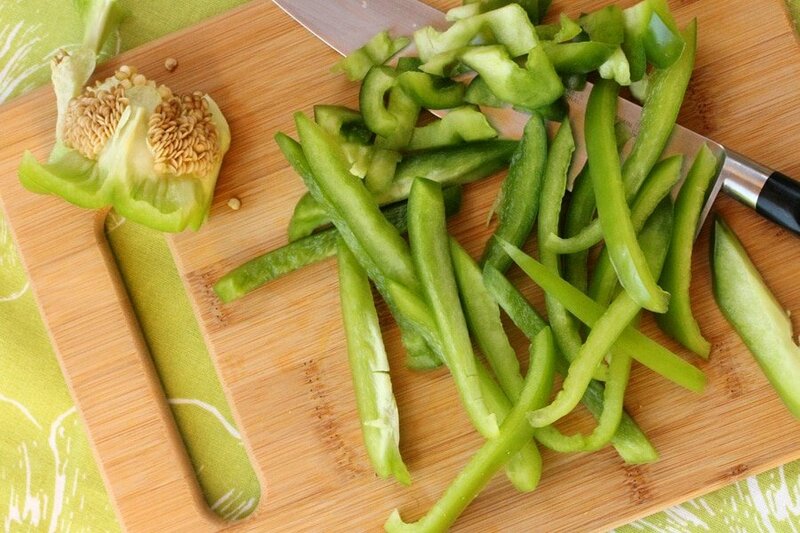 Add them to the bowl of veggies. 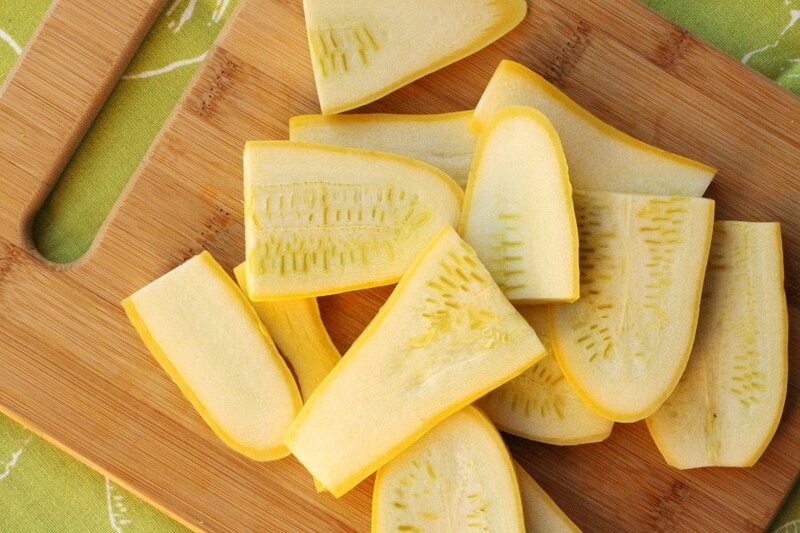 Cut the yellow squash in half widthwise. 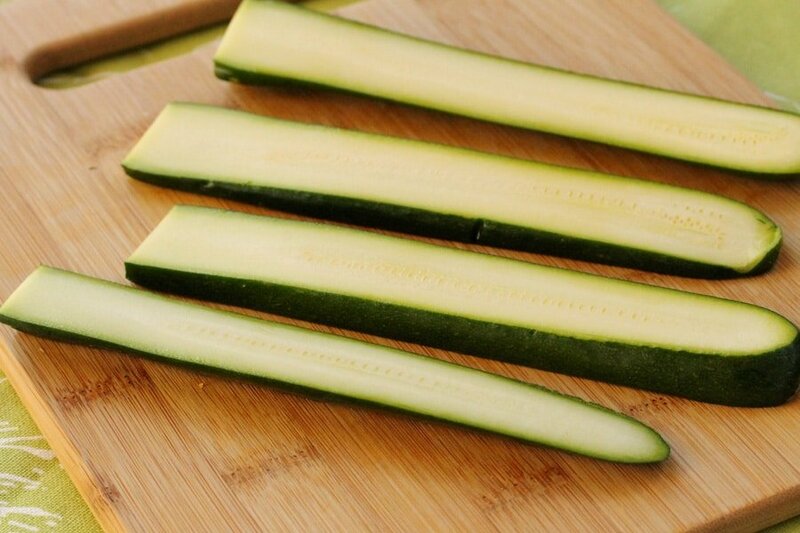 Then cut them lengthwise in pieces that are the same thickness as the zucchini. 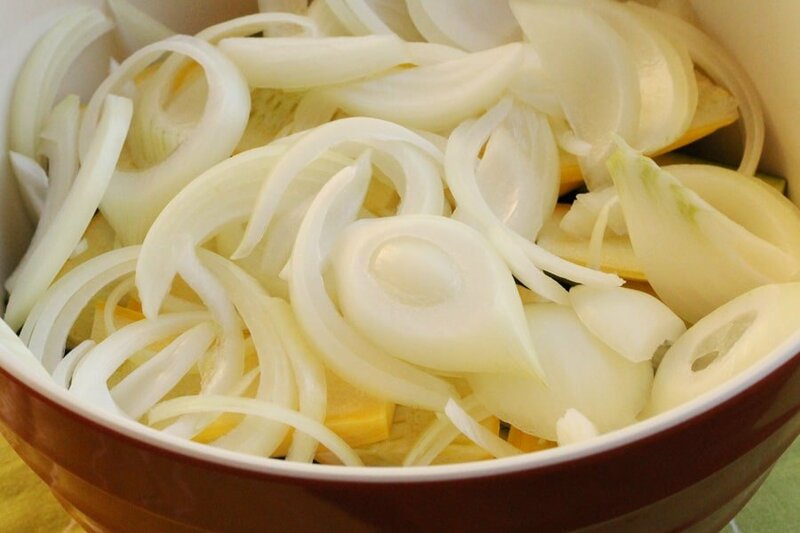 Cut the onions into pieces about the same thickness as the squash. 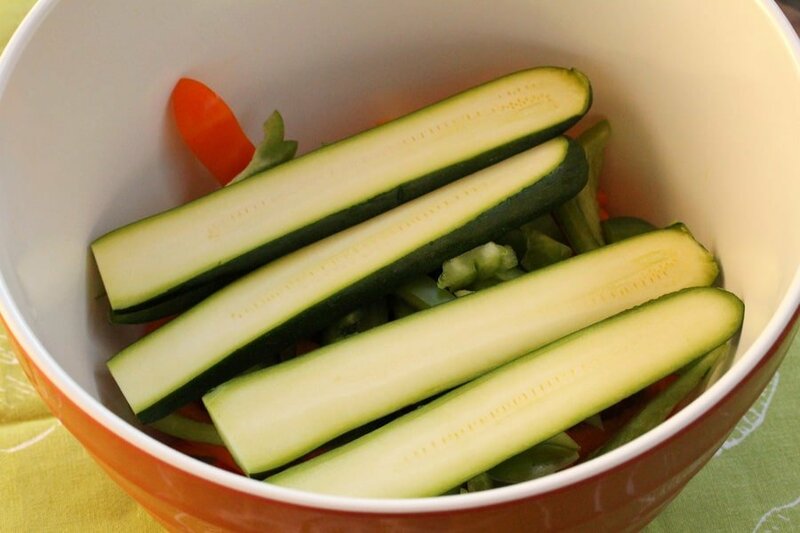 ….last of the veggies into the bowl. 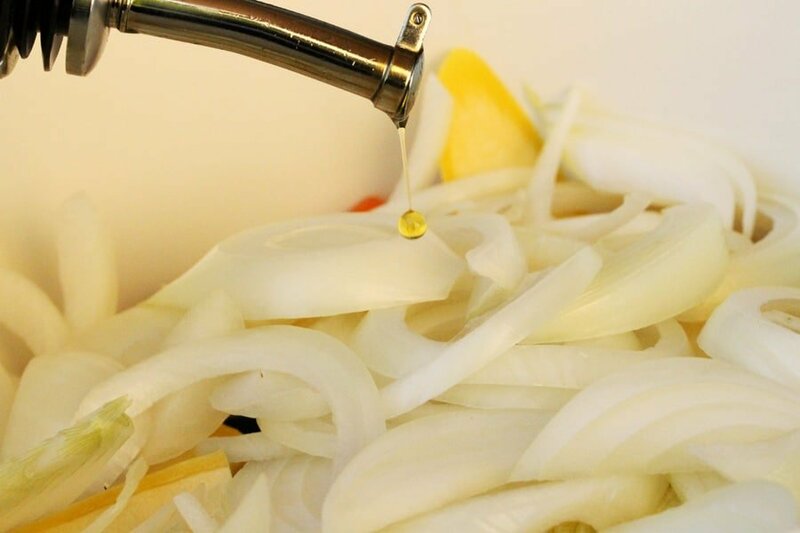 Next, add the olive oil to the bowl of veggies….but only one drop. 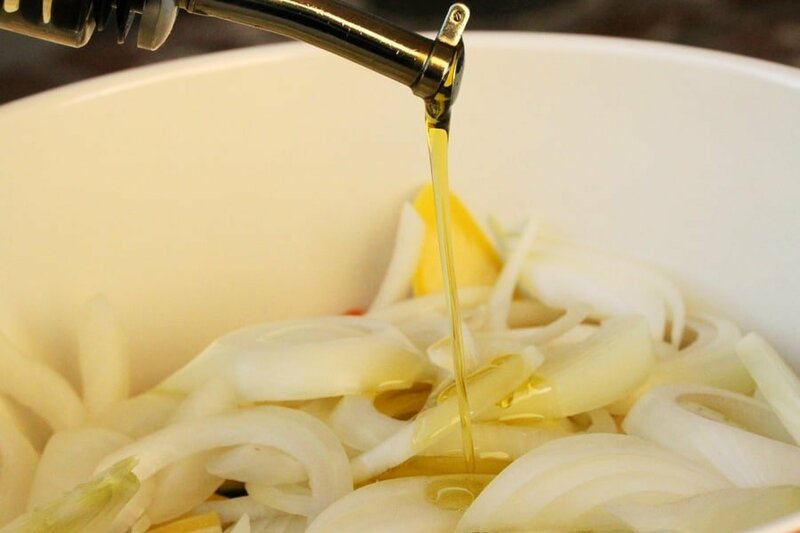 Not really….just kidding about adding only one drop….add all of the olive oil to the veggies. 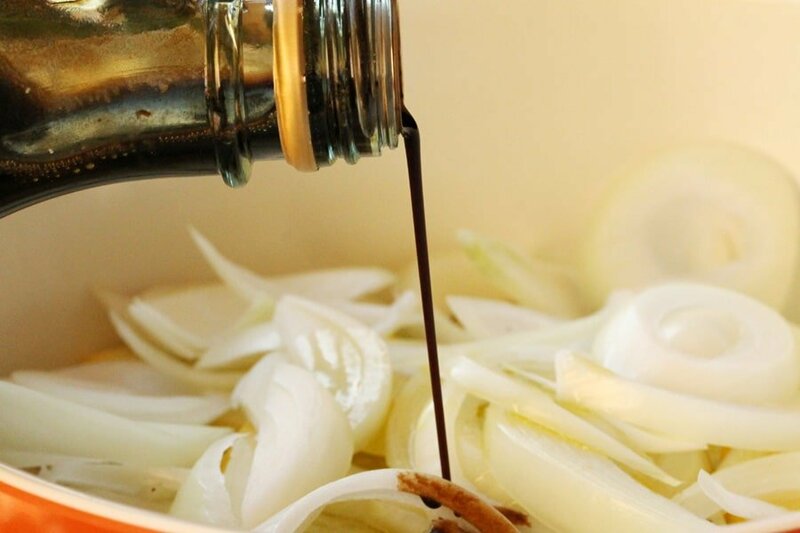 Then add the balsamic vinegar. 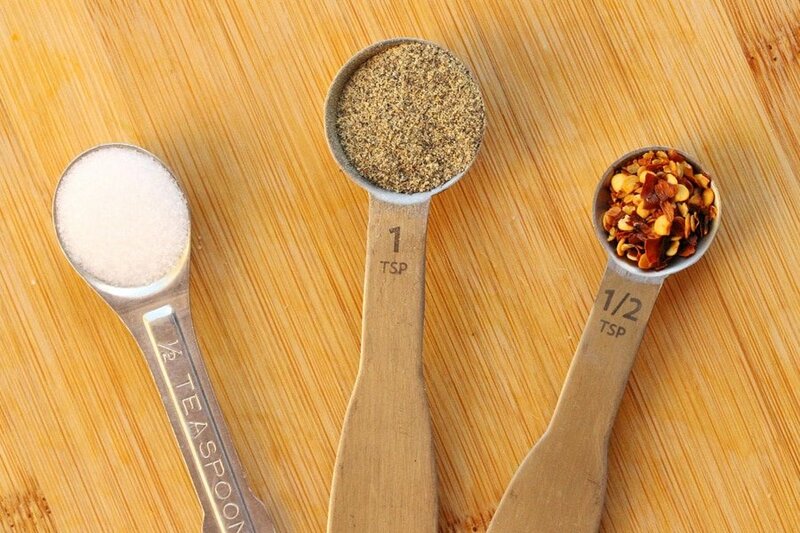 ….and the red pepper flakes. 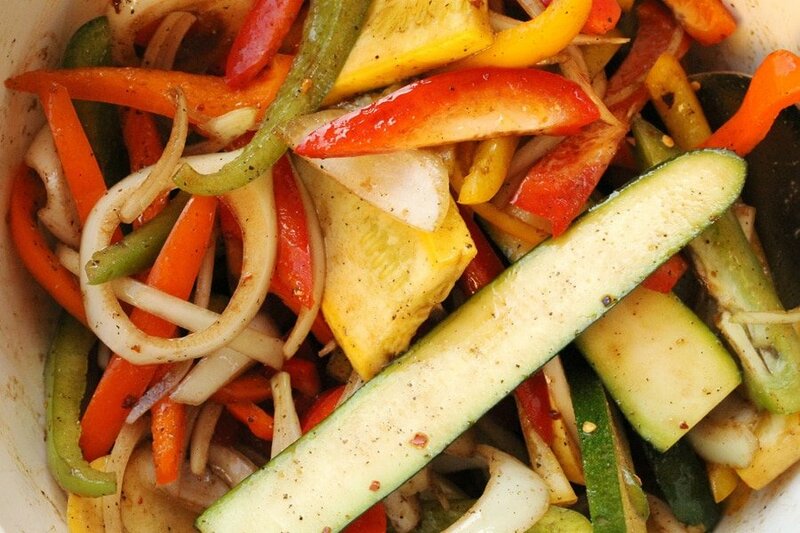 Mix all of the veggies together so they’re coated with the oil, vinegar and spices. 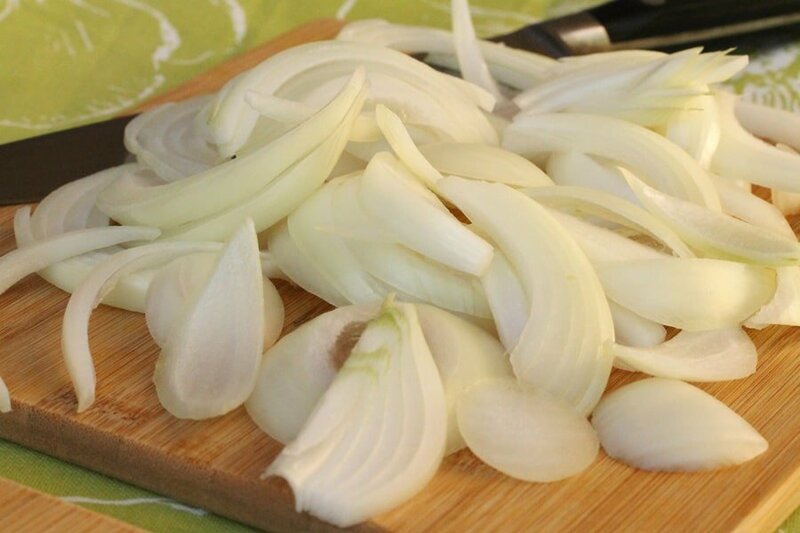 Lay them as flat as possible on a cookie sheet. 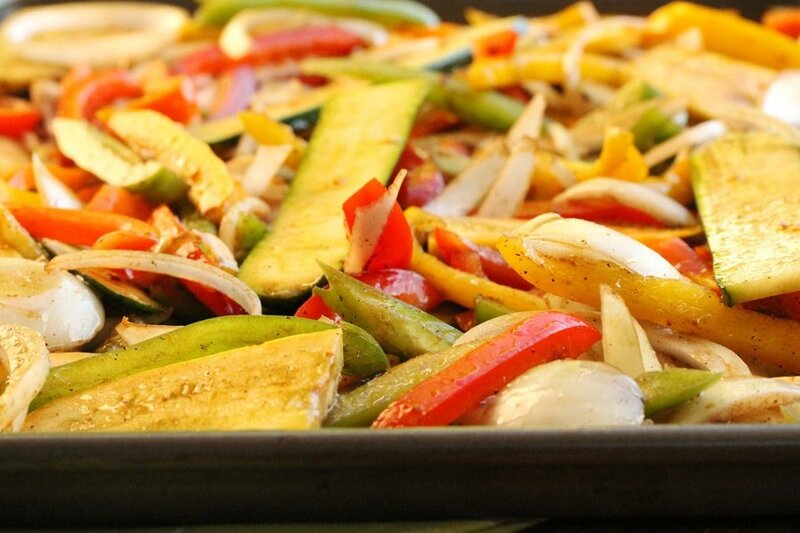 Try to spread the veggies out so they’re touching the pan. 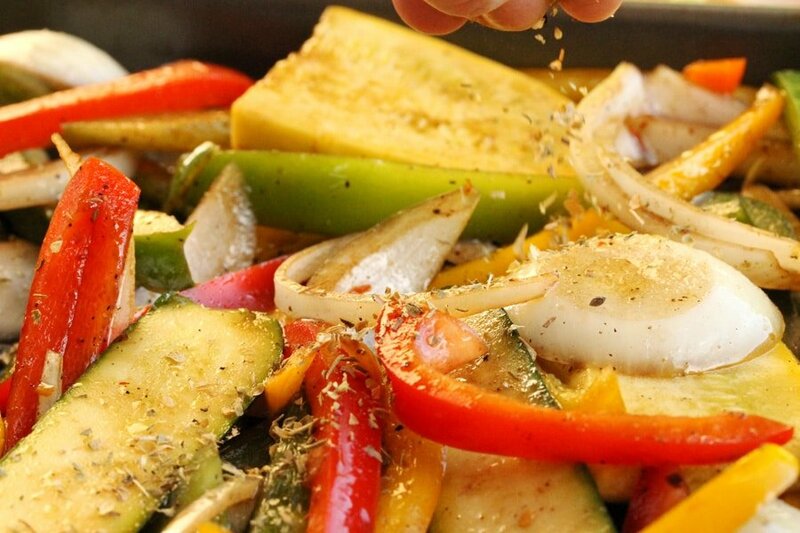 Sprinkle the oregano over the top of the veggies. Feel free to add more oregano if you like. 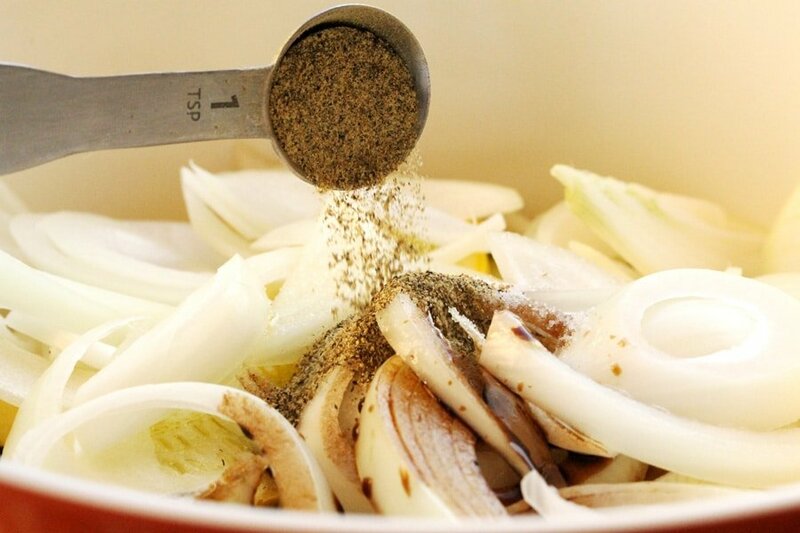 Bake in a preheated oven for about 20 minutes…..
……stirring occasionally until the veggies are lightly browned. They are so tasty right out of the oven. 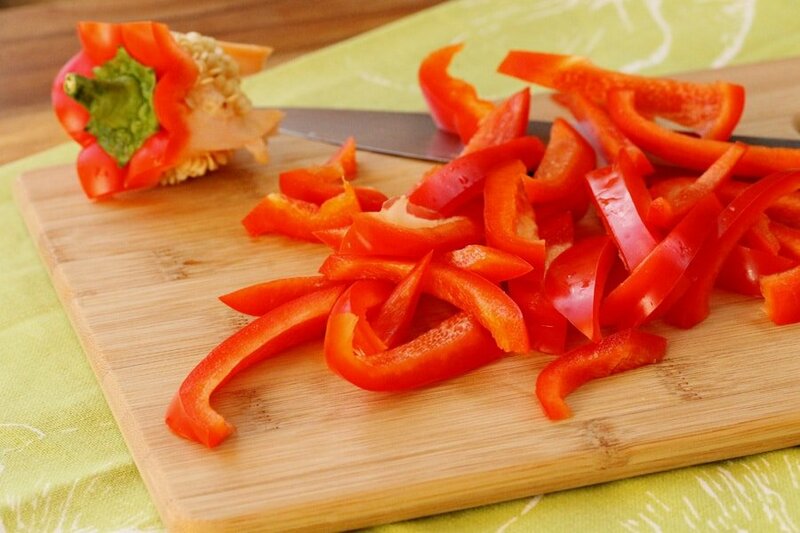 Lay a tortilla on a dish or cutting board. 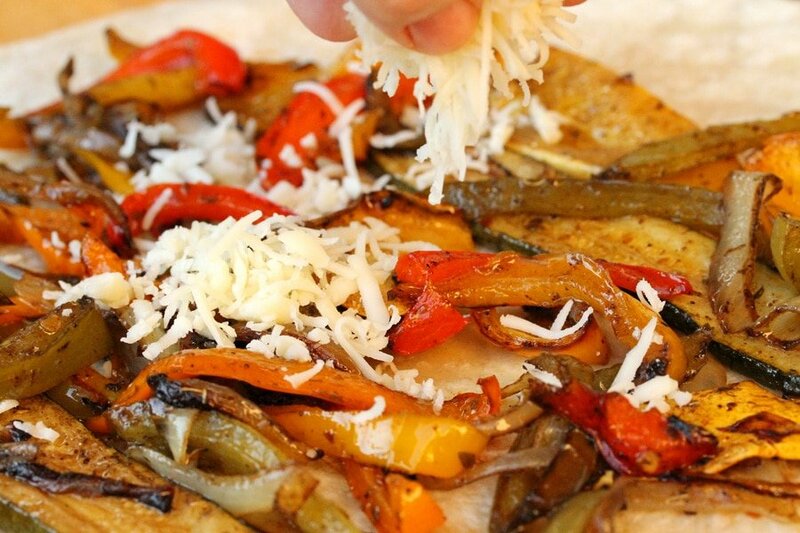 About 2 inches from the edges of the tortilla, add some of the warm veggies. 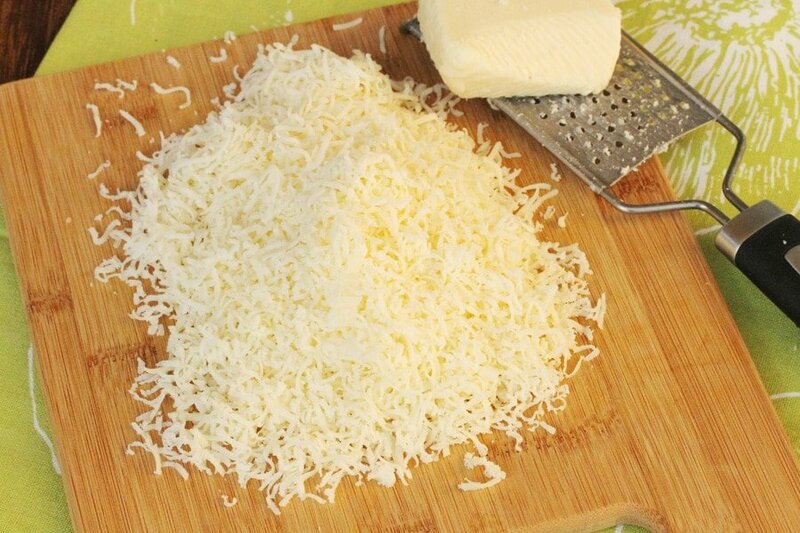 Add more cheese if you like. Next add some of the Hormel Pepperoni Minis…..
…..and top with a bit of the Cardini’s dressing. 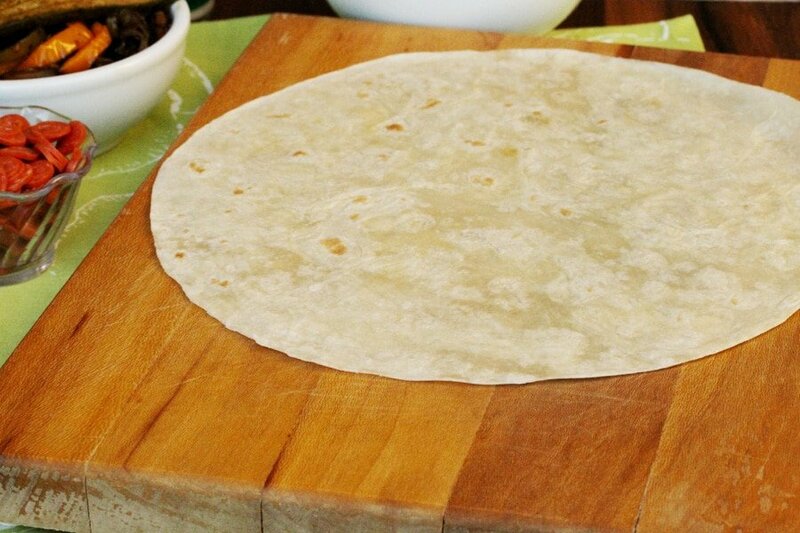 Then fold in two sides of the tortilla about 2 inches. And start rolling the tortilla towards the middle. 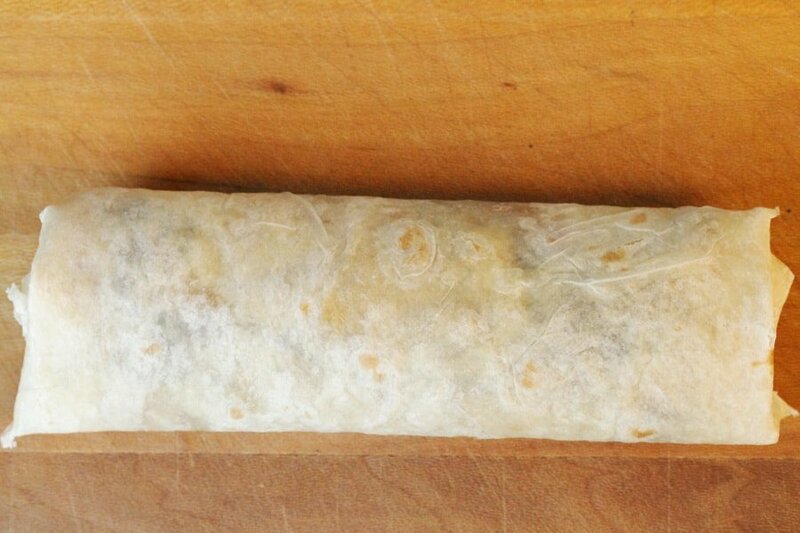 Continue to gently roll the tortilla to form the wrap. 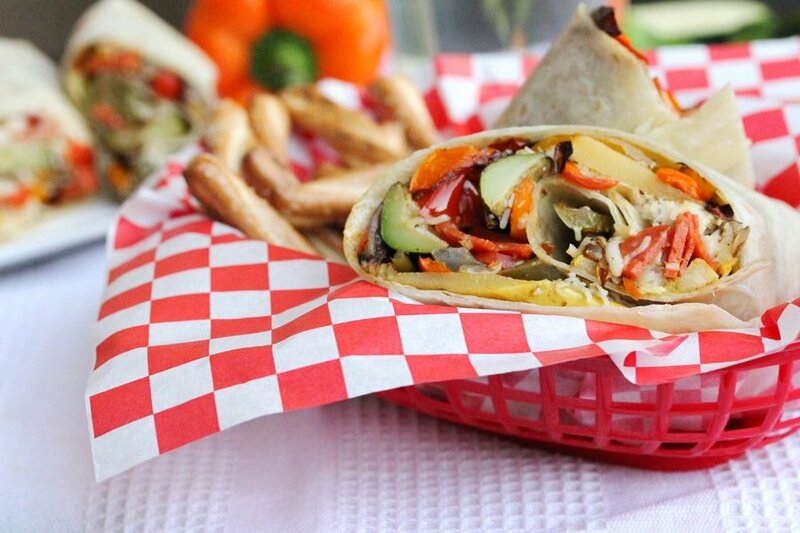 Cut each wrap in half and serve warm. 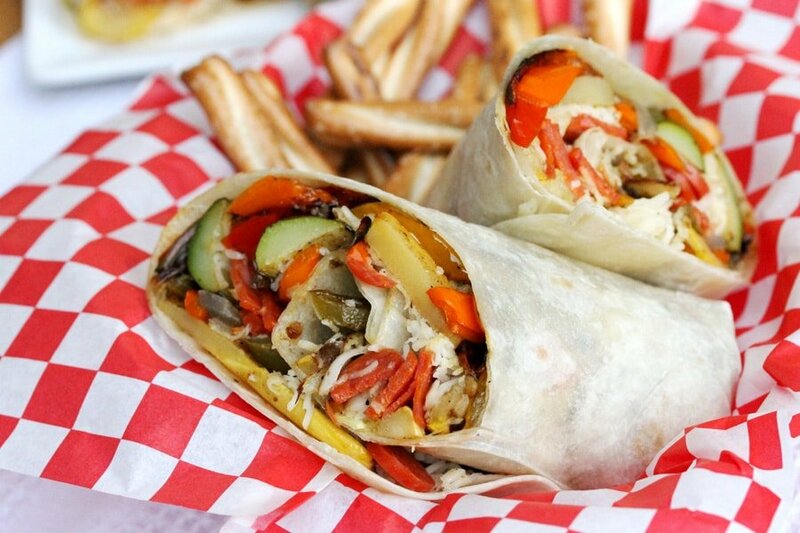 Delicious roasted vegetables and pepperoni all wrapped up and full of flavor. 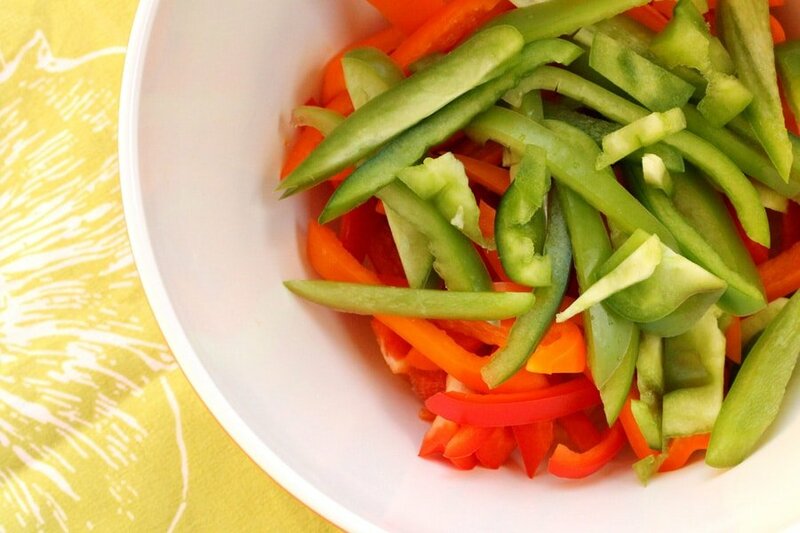 Marinating the Vegetables - To a large mixing bowl, add the yellow, green, orange and red bell peppers. 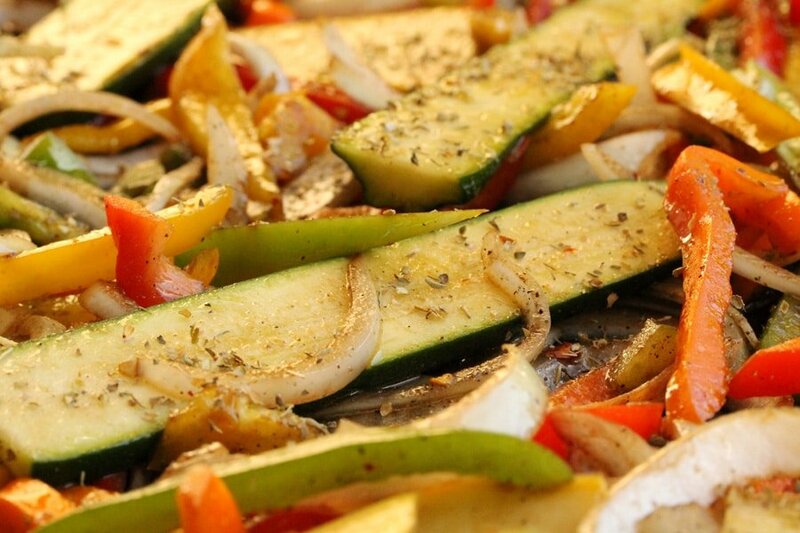 To the bowl add zucchini, yellow squash, onions, olive oil, balsamic vinegar, salt, pepper, and red pepper flakes. 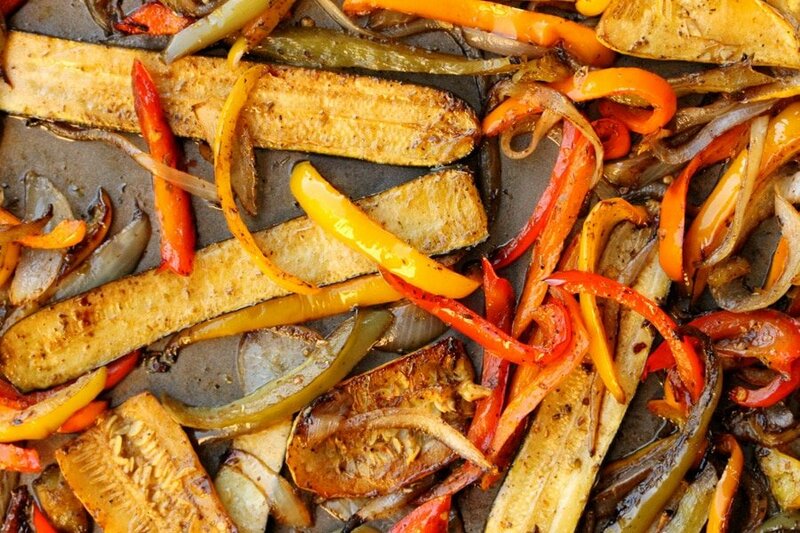 Mix all of the vegetables together so they’re coated with the oil, vinegar and spices. Roasting the Vegetables - On a large cookie sheet, place the vegetables as flat as possible spreading them out as much as possible. 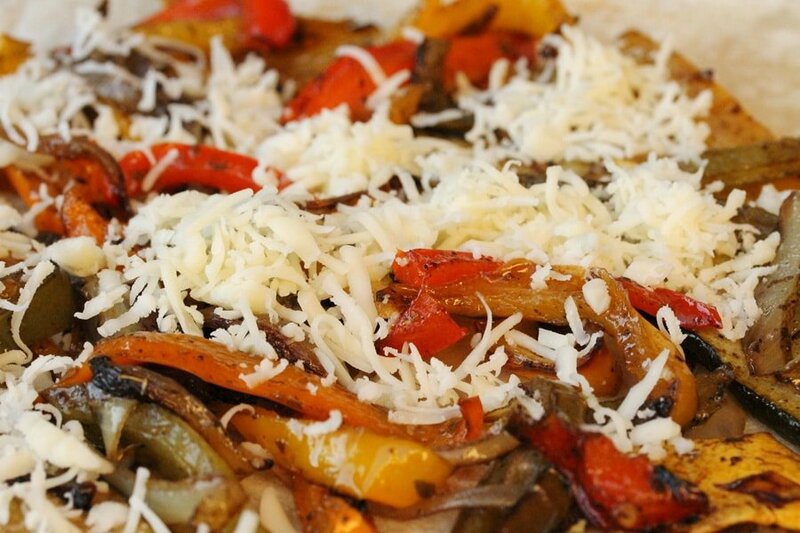 On top of the vegetables, sprinkle oregano. 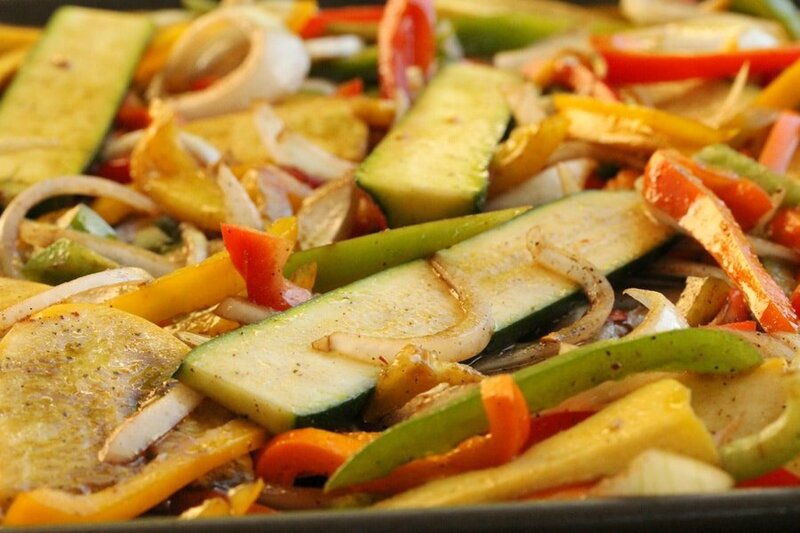 Bake in a preheated oven, stirring occasionally until the vegetables are lightly browned (about 20 minutes). 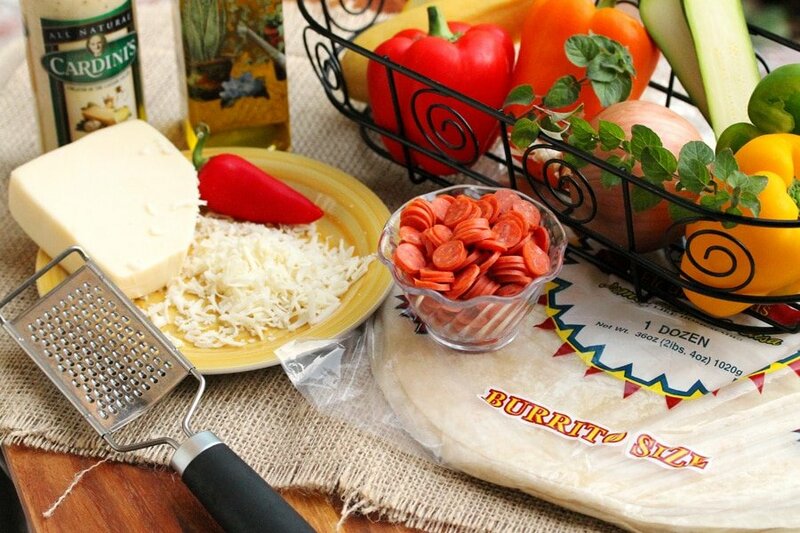 Filling the Wraps - On a large plate or cutting board, lay a tortilla. 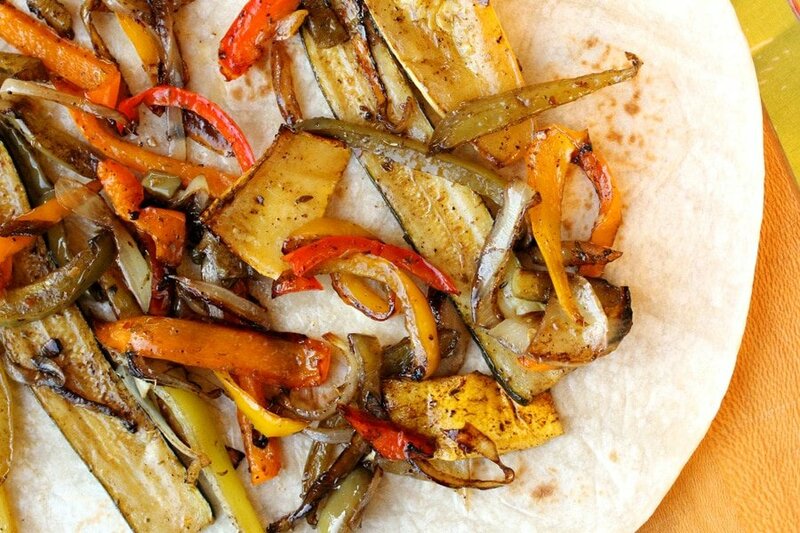 About 2 inches from the edges of the tortilla, add some of the warm veggies. 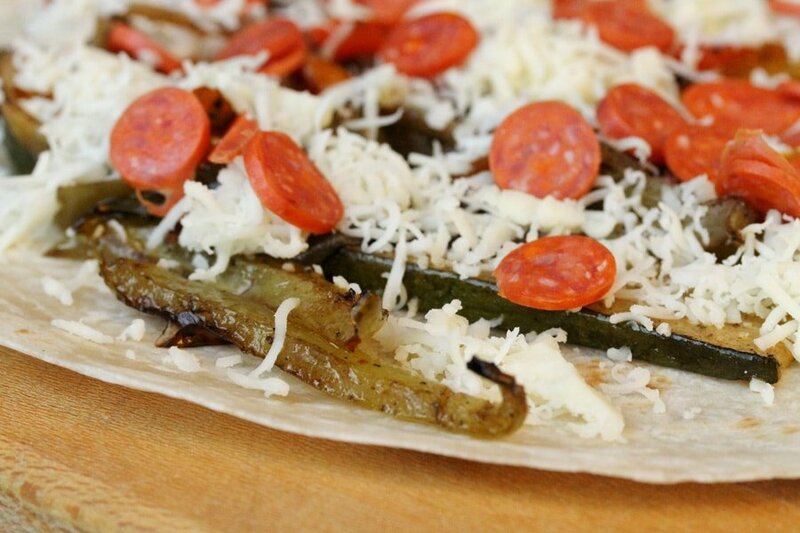 Top with shredded cheese and the mini pepperonis. 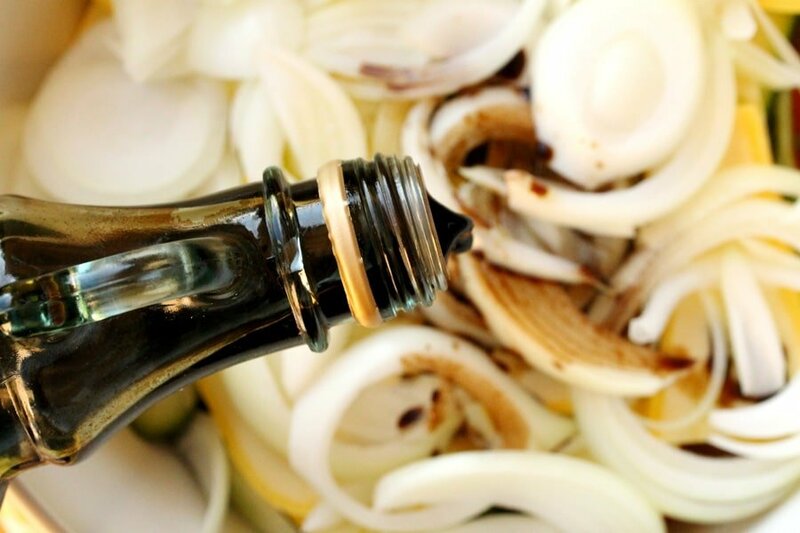 Drizzle caesar dressing on top (or your favorite salad dressing). Folding the Wraps - Then fold in two sides of the tortilla about 2 inches. And start rolling the tortilla towards the middle. 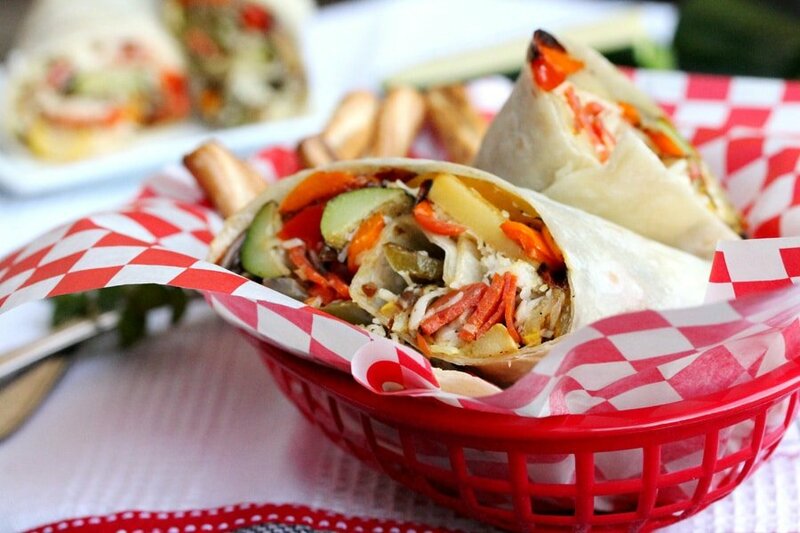 Awesome wrap here! 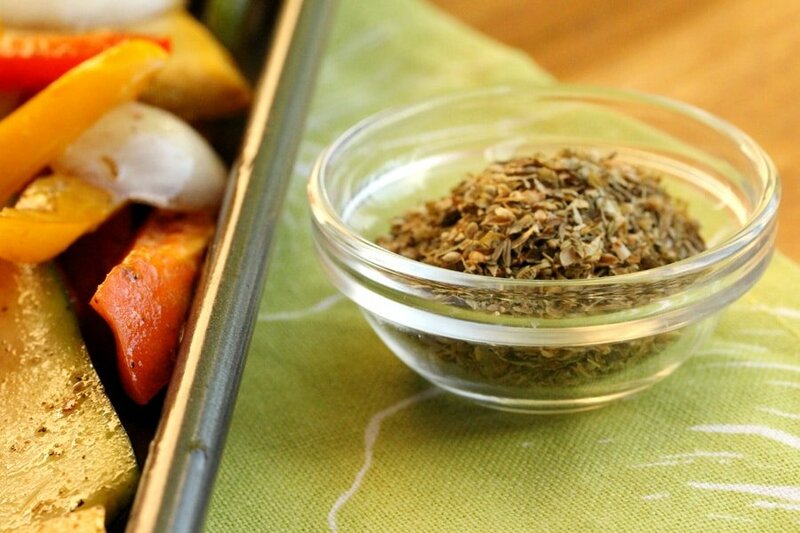 You brought some healthy veggies together but still included some cured meat to punch up the flavor-well done. Definitely a must try! Have a great day! Hi Tina, thank you! Have a great day too! 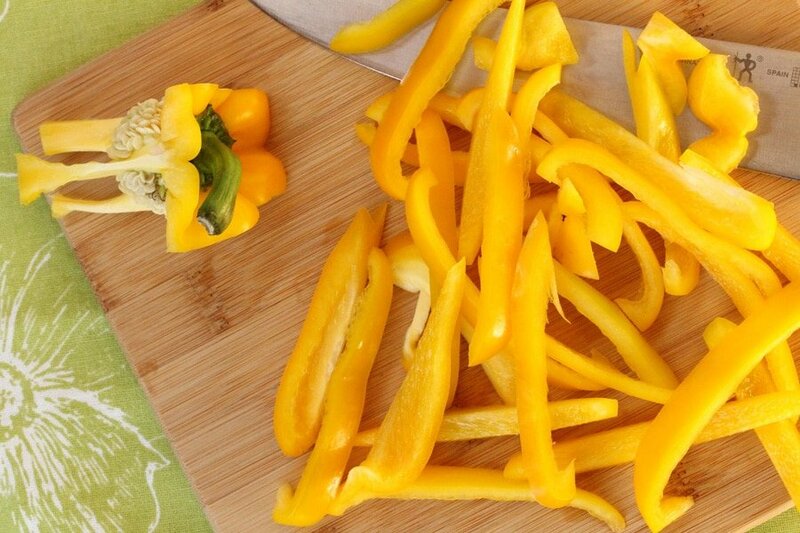 I understand how tempting buying bell peppers in different colors. 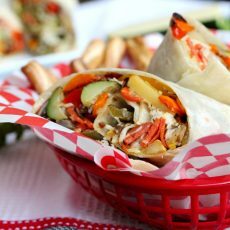 This wrap sure looks colorful and full of flavor! 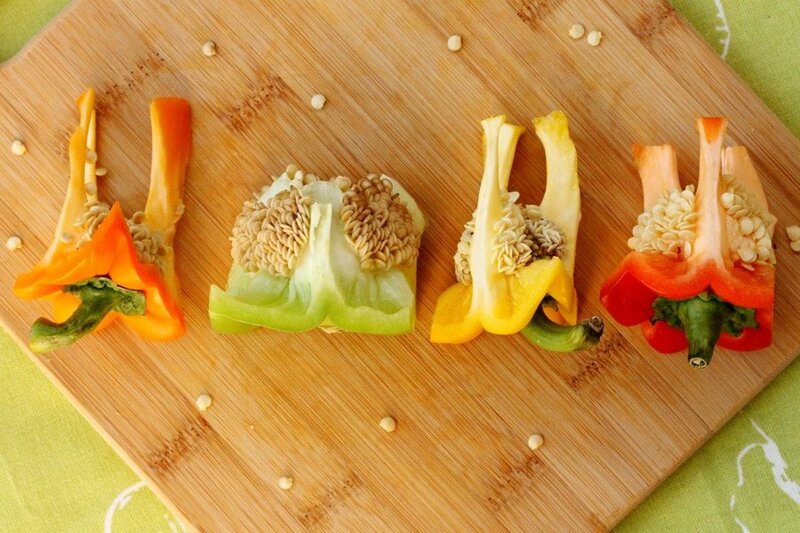 it’s not fair u alwys make me drool,lol… love the colors of those bell peppers! Love it more to see after they have baked… oh i want it! i want it! Thx for this great recipe! Hi Endy, LOL! I’m so glad you like it. Have a great day!